While modern dentistry is a marvel of advanced technology and education, it has not always been this way. 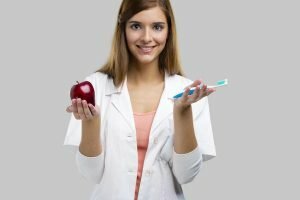 In fact, even today, some people believe the strangest things about their teeth and dental health. At Bondi Dental, we find dental myths, misconceptions, and even some dental truths, to be quite interesting, and often funny. So, today, we have collected strange historical facts/treatments, modern day beliefs, and some quirky facts that we hope you will find as entertaining as we did! Ancient civilizations commonly believed that toothaches were caused by worms in the teeth. The Aztecs believed that you could drive toothworms out of your teeth, and thus conquer toothache by chewing hot chili. Another alleged cure was the application of a dead mouse to the aching tooth while the corpse of the mouse was still warm! Looking back on these treatments, it is good to think that we don’t suffer from such illusions in modern times. And yet, even today, some mistaken beliefs persist. Dentists don’t care about the discomfort or pain of their patients. This is simply not true. In fact, to avoid discomfort or pain, Bondi Dental advises you spend time talking to your dentist and staff before any procedure, even one as simple as a checkup. By doing so, your apprehension will ease, and you can learn about the modern anaesthesia that will render your treatment painless! If your gums bleed, you need to stop flossing. This is a dangerous myth! Stopping flossing is exactly opposite to what you should do if you notice your gums are bleeding. Bleeding gums are often evidence of gum disease. Which makes it double important floss and brush – it helps prevent gum disease from easily advancing. Avoid dental treatment while pregnant. In fact, during pregnancy we recommend a regular dental check-up, cleaning, and fillings if needed. Local anesthetics and X-rays are fine, though they should only be performed if necessary. Do be sure to inform your dentist of you pregnancy as some treatments should be avoided including amalgam removal and prescribing antibiotics. Tooth loss is “just part of aging”. In fact, tooth loss has causes other than aging. The truth is insufficient oral hygiene, infections, and accident can all cause teeth to fall out. But older patients who practice excellent oral hygiene dramatically increase the chance that their natural teeth will last their lifetime. People drinking 3 or more glasses of sugared drinks daily have 62% more tooth decay, fillings, and lost teeth than those who don’t drink pop and sports drinks. Replace your sugary drinks with fresh water instead. Lucy Beaman Hobbs became the first licensed female dentist in 1866, and nearly 40 years later, Dental Assistant Irene Newman became the first Dental Hygienist. Going to a party? “Tooth brushing” can be a quick clean for dingy jewellery. A fast, simple way to restore sparkle to your favourite ring, earrings, necklace, or other jewellery is a retired toothbrush with a dab of toothpaste. Gently brush your jewellery and then wipe it off using a damp cloth. Voila! Sparkle returned. Bondi Dental is conveniently located in the Eastern Suburbs – Bondi Beach, Bondi in Sydney. Our team of dental professionals has more than 60 years combined experiences in all aspects of dentistry. Call on (02) 9365 7187 or visit us at 134 Curlewis St in Bondi Beach.